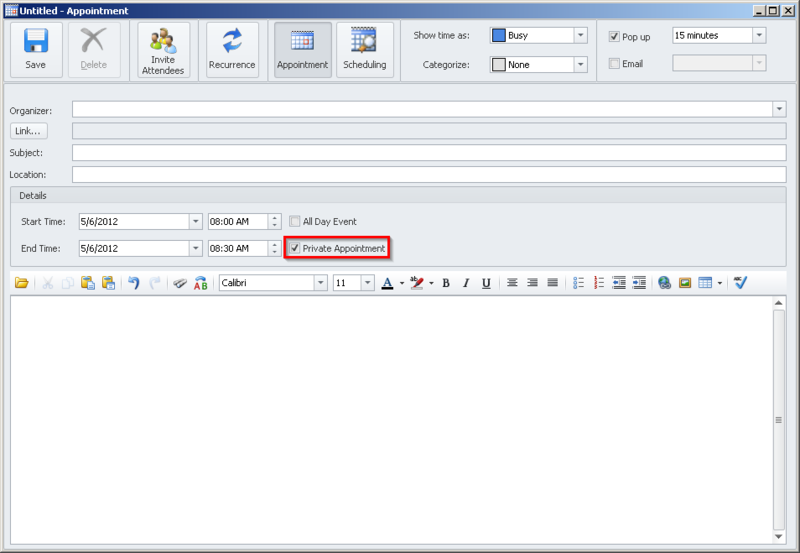 When creating an appointment, your appointment is either defaulted Private or Public based on your preference setting. To determine whether your appointment is Private or Public, look at the 'Private Appointment' check box and see if it is checked. To make the appointment Public, keep the check box unchecked. To make the appointment Private, make sure the check box is checked. Click Save to save your appointment.